A new hummus, made from wasted vegetables is set to take the foodie scene by storm, thanks to its launch on Tesco's new crowdfunding platform, BackIt. Food waste is something that Tesco takes very seriously and is an issue that we have a responsibility to work together to solve. It's businesses like ChicP that will help us do just that. Combining Hannah's raw cooking talent with her love of food and passion to end food waste, ChicP is the latest addition to the hummus world, and Hannah, the newest and brightest food waste entrepreneur to hit the scene in 2016. Supporting British farmers by using fruit and vegetables that would have otherwise gone to waste, ChicP is already stocked in Local London delicatessens including Sonny's Kitchen, Krystal's Fulham, and the Rude Health Café. 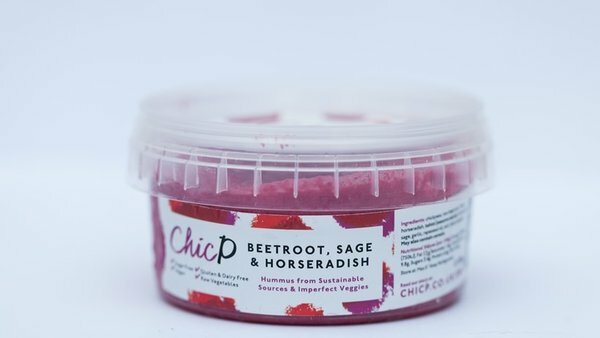 ChicP is building a cult following amongst those who want healthy, good food, without the waste. “I hate wasting food, and I know I'm not the only one. Creating ChicP has enabled me to combine my desire to reduce food waste with being able to produce delicious, healthy hummus.